Leading Psychologists Take an Unauthorized Look at the Most Elaborate Psychological Experiment Ever Conducted… Survivor! Edited by Richard J. Gerrig, Ph.D.
accessible yet interesting, smart yet entertaining, Psychology of Survivor will appeal to millions of “Survivor” fans and psychology enthusiasts alike. Who's Afraid of Being Kicked Off the Island? Kevin J. Apple, Ph.D., Melissa J. Beers, Ph.D.
Benjamin Le, Ph.D., Gary W. Lewandowski, Jr., Ph.D.
What Will the Tribe Say When It Speaks? "What? How Did SHE Win?" From our post last week, here’s the winner of our Psychology of Survivor anthology! 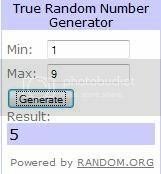 #5 is Jules, so I’ll email her for the right address. Win a copy of our Survivor anthology! Last night was the season premiere of Survivor‘s 20th season, Heroes vs. Villains. It’s an All-Star season with a twist. You can see who is back for more rounds of game-playing and manipulating on the Villains team, and working hard and back-patting on the Heroes team here.